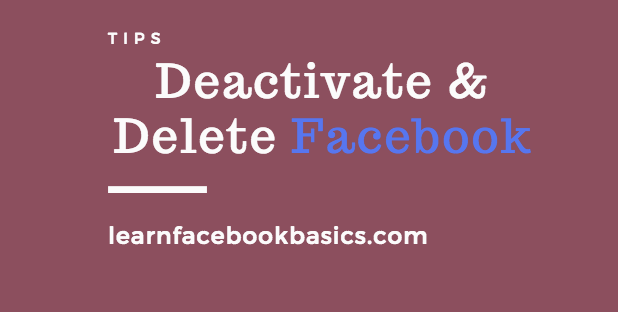 How to Deactivate or Permanently Delete Facebook Account Link Right Now: Should you delete or deactivate Facebook account? Learn what the difference between deleting and deactivating Facebook account in this new article. See How to Reset Password on Facebook.